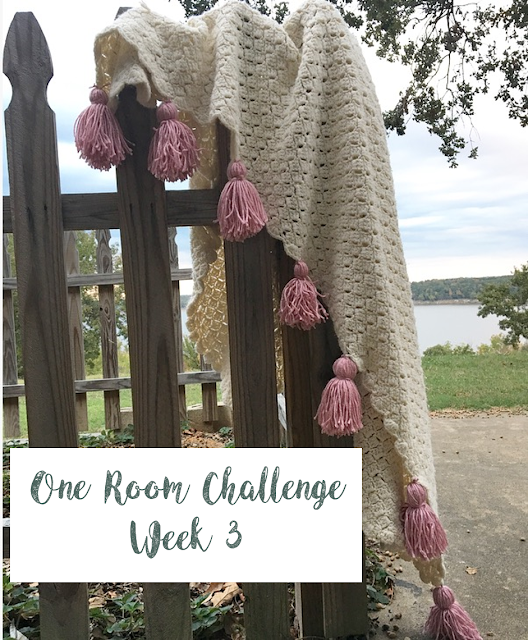 It's week 4 of the One Room Challenge and I've made some major progress! I hung a chandelier from Lamps Plus, got the first coat of paint on the wall from Sherwin Williams (pictures coming next week), and my wallpaper came in from D. Marie Interiors. I have to say, I'm more excited than ever! All the pieces are coming together and I cannot wait to get the room styled. OK...so how gorgeous is this light from Lamps Plus?! 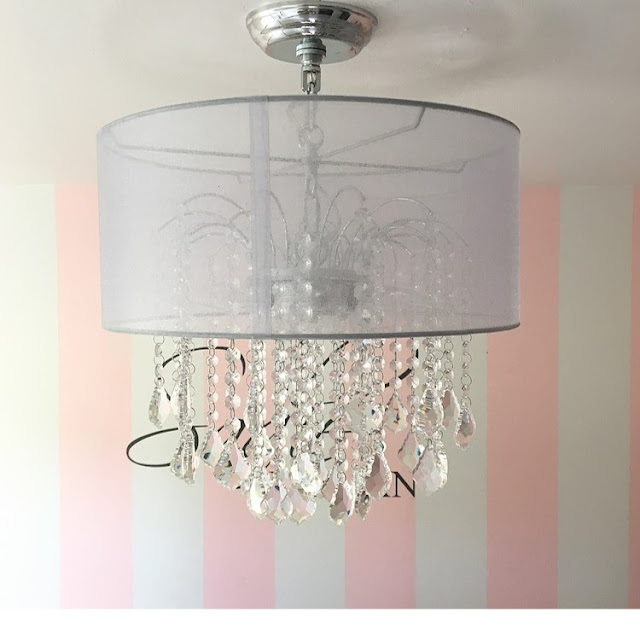 It's the Nicolli Clear 16" Crystal chandelier found HERE. I'm totally obsessed with it, it's what I dreamed of when planning her big girl room. When the chandelier is on, its crystals make the whole room sparkle. My little girl is definitely going to feel like a princess! Hello friends! 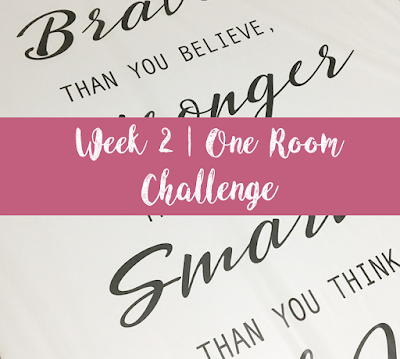 It's week 2 of the One Room Challenge hosted by Linda of Calling It Home Blog. 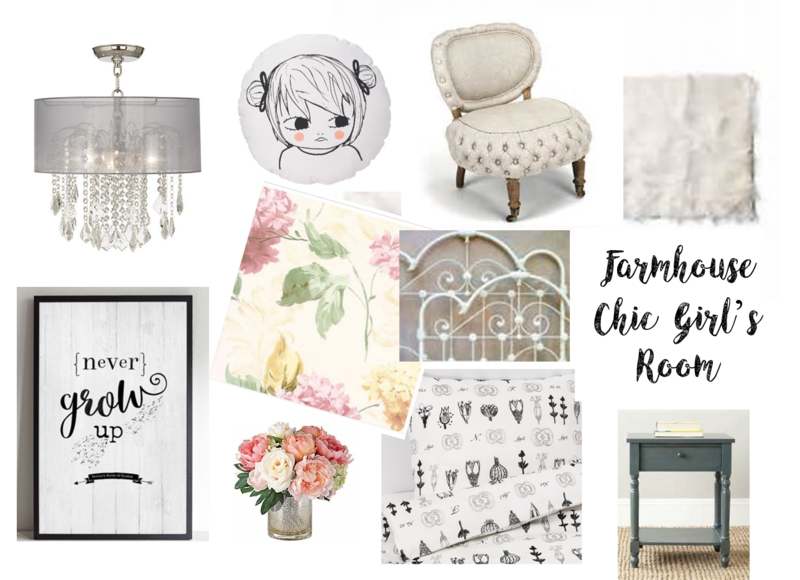 For those of you that missed my week one post, I'm linking up as a guest participant for a six week, one room makeover challenge. You can click the image below to see all amazing bloggers link ups and browse through their week 2 progress! 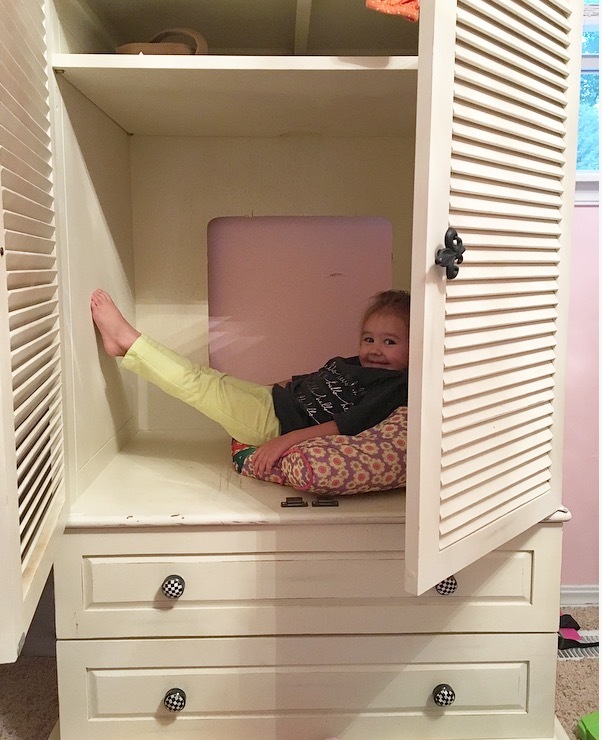 On my first post I shared my vision for my daughters space, and before pics of her bedroom. Here is my design board below! I am so excited to have found some great pieces this past weekend that I'll be sharing with you today! 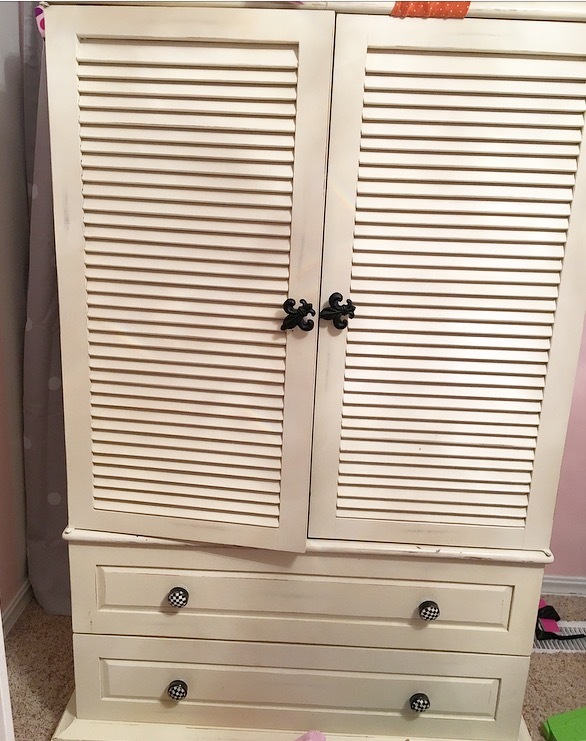 One of the items I needed for the space was an armoire so that I could have extra space to hang more clothes. I searched Craigslist and found the perfect one! I'll be changing out the knobs and maybe painting it white. It's currently more of cream than I was looking for but it has potential! Sadie clearly loves it already. Hehe! Another "to-do" on my list was to find a nightstand...and I scored big time! We were headed to my daughters game Saturday morning and I talked my husband into stopping by a garage sale I seen. 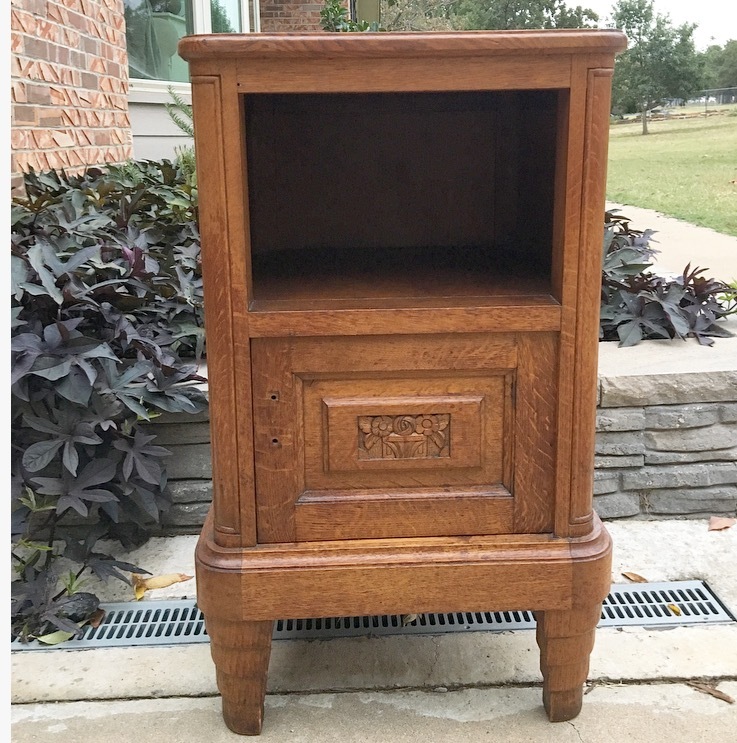 They had two of these nightstands identical to each other and I scored both for $25 bucks! I love the legs and the ornate detail on the door. I only need one for the room so I plan on painting them both white, keeping one for her room, and selling the other! 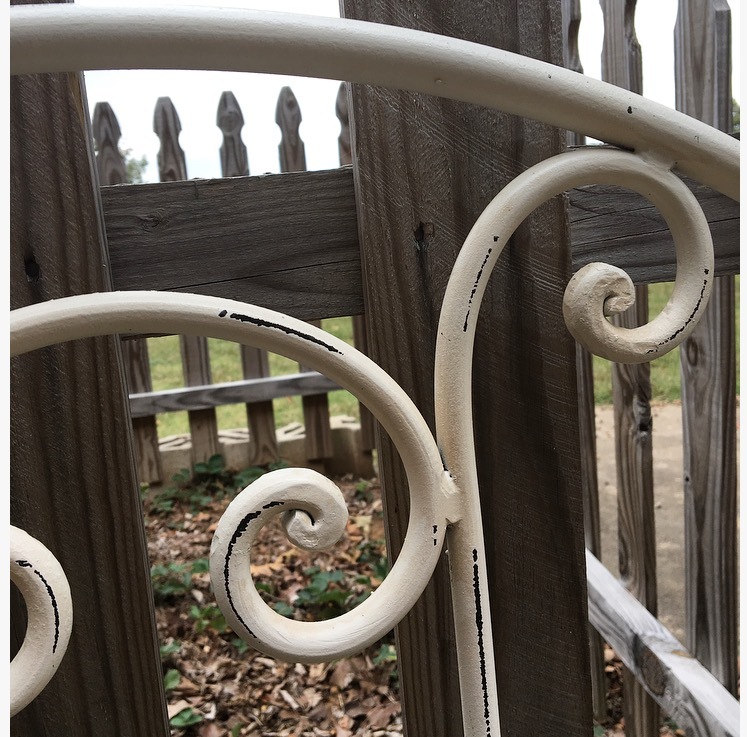 Here is the beautiful iron bed I am using in the space. It's from Land of Nod. It's been so exciting receiving all the items from my sponsors as well! I've received a chandelier, a canvas, a print, and some small decor items already and I can't wait to get the walls done so I can style them and show you all the beautiful items! A special thank you to my AMAZING sponsors who are partnering with me to make this makeover possible! Come back next Thursday for more progress updates! Welcome friends! I'm beyond excited to be joining along in the One Room Challenge hosted by Linda of Calling It Home. If you're not familiar with the One Room Challenge, it's a challenge to design and makeover a space in just 6 weeks! 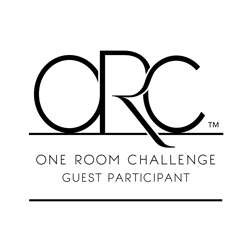 I am participating as a guest for the first time...and I'm not going to lie...I am a little nervous about completing a room transformation that quick. BUT..I also love a good challenge so I am super excited and ready! I'll be back every Thursday with progress updates and DIY's that I complete along the way and linking up to the official ORC over at Calling It Home. If you're new to my blog, I live in Oklahoma with my husband and three daughters. We bought my husband's grandparents' house a few years ago and have slowly been updating it along the way. For my transformation, I decided to take on updating my toddlers nursery into a big girls room. Here is the before pics..WARNING..they are slightly on the messy side! This is literally how the room is all the time..toys everywhere and not enough closet space for clothes. 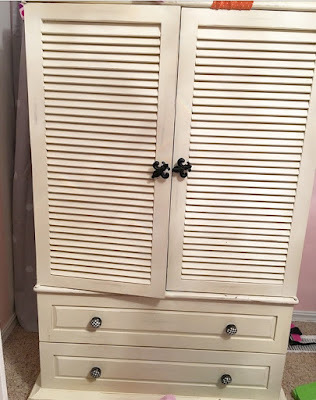 I have three daughters..between the 3 of them they share two closets. My older two share a room. This is the smaller of the two rooms so I'm going to have to be pretty minimal when I plan out the design.